Orange you glad it’s time for a new post on Kidsmomo? AHAHAHAHAHAHAHA! Ha ha ha! Ha. But seriously, folks… Over the weekend I mentioned that April is National Poetry Month. Well, it also happens to be National Humor Month! 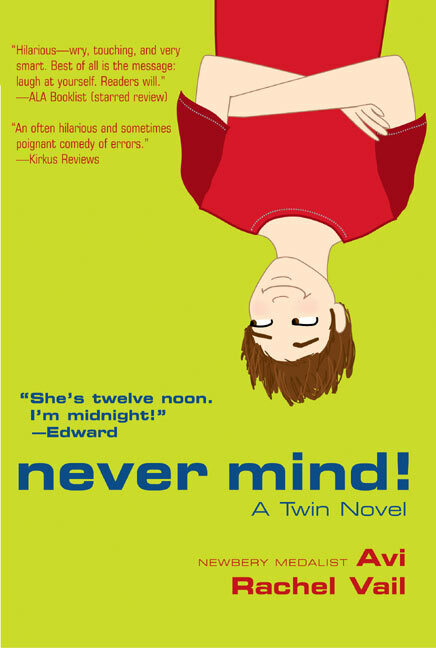 In the past, Nancy and I have rounded up our favorite funny books for your reading pleasure, so today I thought I’d do something different and turn the spotlight on you! I first heard of this book when my teacher said she recommended it. But it looked kind of dumb, so I never did bother to read it. That is, until my teacher read it to my classmates and I. I loved it so much, I read it again by myself! 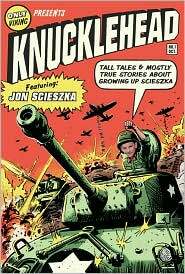 Knucklehead is a hilarious memoir by Jon Sciezka, telling of his childhood memories of living with his five brothers, Jim, Tom, Gregg, Brian, and Jeff. This book is full of funny memories and tons of photos. I really enjoyed the part when they brought the cat in the car with them and something hilarious happened. So you’re probably wondering what happened, right? Well, sorry, but you’re going to have to read this funny memior to find out! Babymouse wears a pink heart dress and loves to eat pink cupcakes. She has a baby brother named Squeak and her best friend is Wilson Weasel. Babymouse gets pushed around by a mean cat named Felicia Furrypaws at school. Babymouse gets into all kinds of trouble and Wilson always helps her out. Unlike Babymouse he does everything right. My favorite book is Babymouse Burns Rubber. Have a squeaky day! 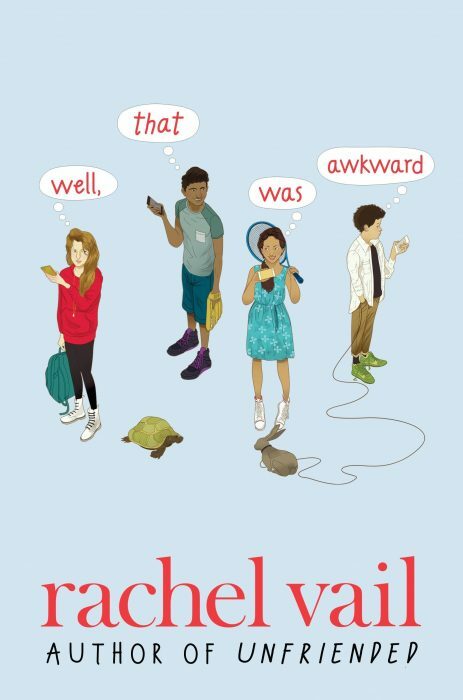 Have YOU read any fantastically funny books recently? Leave a comment with your recommendation, or submit a full review! Karen never got into the whole vampire craze, but she loves this joke: What’s a vampire’s favorite fruit? A neck-tarine! HA HA HA HA! Ha. Karen says: You guys are gonna love our latest podcast, all about books with multiple viewpoints. And as a bonus, I tell some really fascinating stories about corn! I promise, you’ll be on the edge of your seat! Dumbledore tells all? We wish! Also, don’t forget: our new theme is books for series starring girls, in honor of Women’s History Month! So send us a review of your favorite series starring a girl, and check our picks for series starring girls.